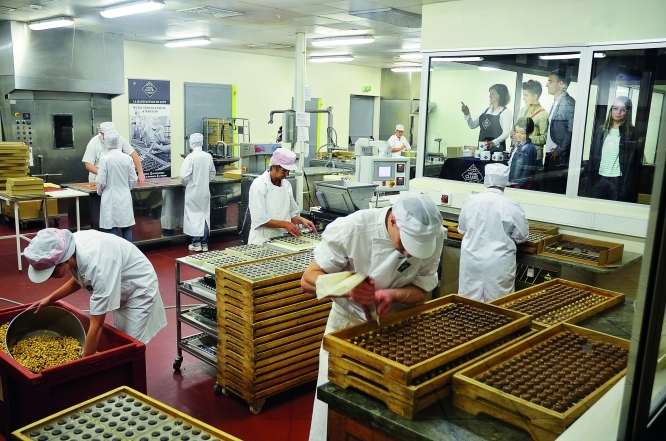 Marc Cluizel and his sisters Sylvie and Catherine are the third generation to run Manufacture Cluizel, the family chocolate business. “My grandparents created the company, my grandfather was a pâtissier from Lyon,” says Marc. “His wife Marcelle ran a sweet shop, and together they set up a combined pâtisserie, chocolaterie and delicatessen in Rambouillet.